The Indians’ top three golfers are pretty clear this season. Leading off is junior Jess Scheller, who is poised to have his most impressive season yet after completing a strong sophomore campaign. Behind him in the No. 2 and No. 3 spots are Art Thompson and Jason Yoo. “It’s a team that has a good amount of experience,” said coach Steve Lindberg. “They’re maturing not only with their ability to play golf but they’re maturing with their mental capacity.” Adoriel Alamshah has moved up from the junior varsity team, where he was the top player last year. Hart, which was eliminated in the first round of CIF-SS play last season, is focusing on improving in each round. “They have moments of inconsistency but then they have flashes of brilliance,” said Lindberg. The Cents have been introduced to some new golf equipment this season: pen and paper. At the end of each day, each player will record the best and worst parts of his round as a means of identifying strengths and weaknesses. “They map out every hole, and they map out the wasted shots and how many chips and shots,” said coach Cal Linam. “You’re going to see recurring errors on there.” Although Linam said that there will be recurring competition for the top spot, Riley Hermann will be leading the pack. “He can go low,” Linam, who coached JV last year, said. 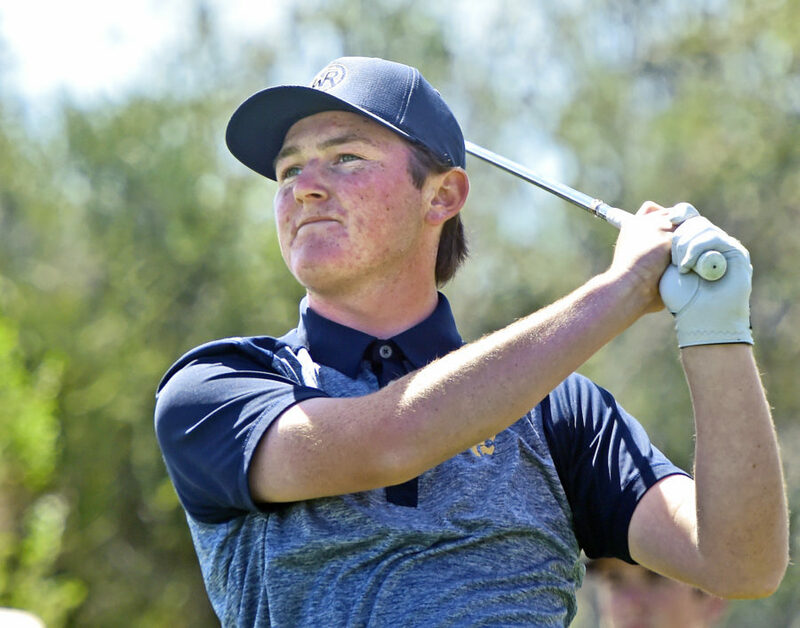 “(He’s) very consistent, always reliable and takes the pressure off everyone else.” Benny Emeterio, Braeden Boss, Rylie Watson, Trevor Daher and Ethan Le Blanc will round out the group, in that order. The Cowboys have only one returner this season: Sam Funakoshi, a senior. “He’s just a very levelheaded golfer who doesn’t get emotional about the game,” said coach Brian Ingino. “Not a lot of ups and downs.” Two up-and-comers, Logan Yamoka and Adam Rodriguez, will be developing throughout this season to build up Canyon’s varsity experience. “We’re just pretty much trying to get better each and every day with matches and learn how to manage the bigger courses, coming from JV,” Ingino said.